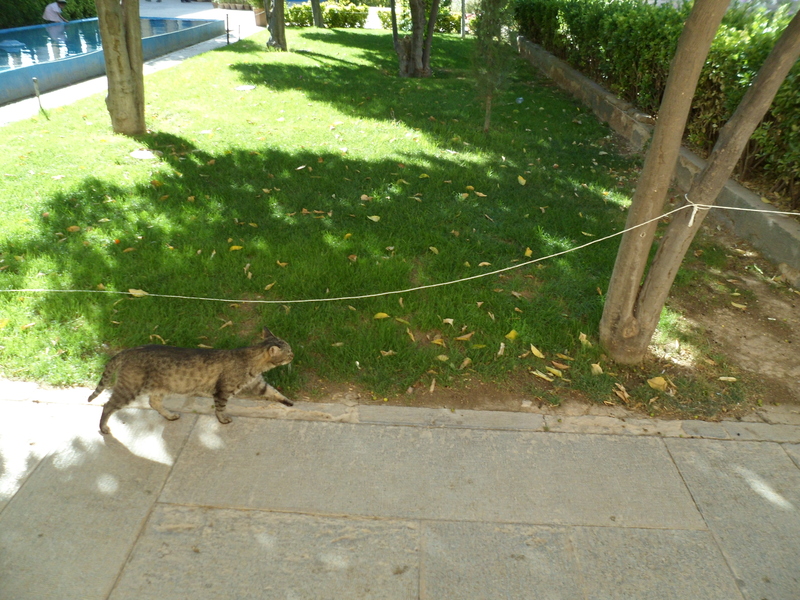 A stray cat at the Iman Khomeni monument, Tehran. It has come to my attention that there is a shortage of pictures of cats on the Internet. 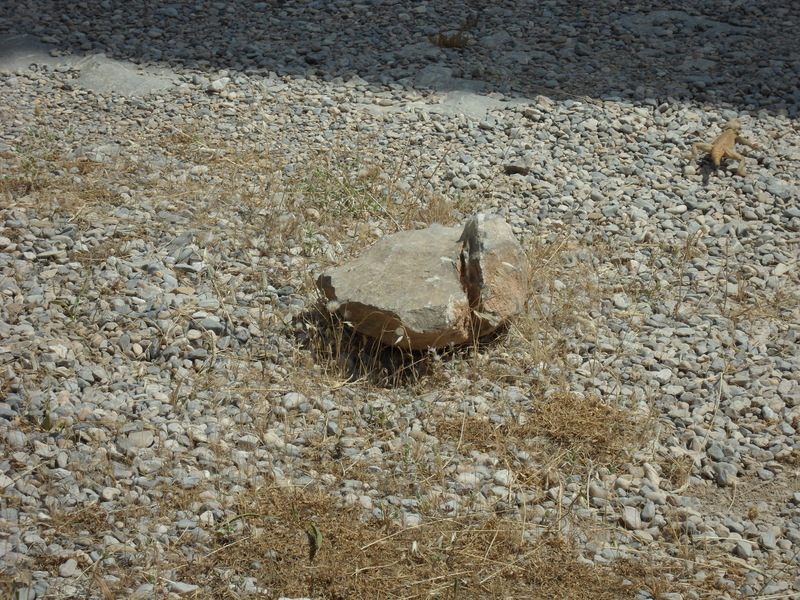 Although I am not equipped to deal with most global problems, my trip to Iran has armed me to fight against this one. There are also some dogs and lizards, but my photos of birds on the wing did not turn out very well, and other bloggers seem to have squid covered. 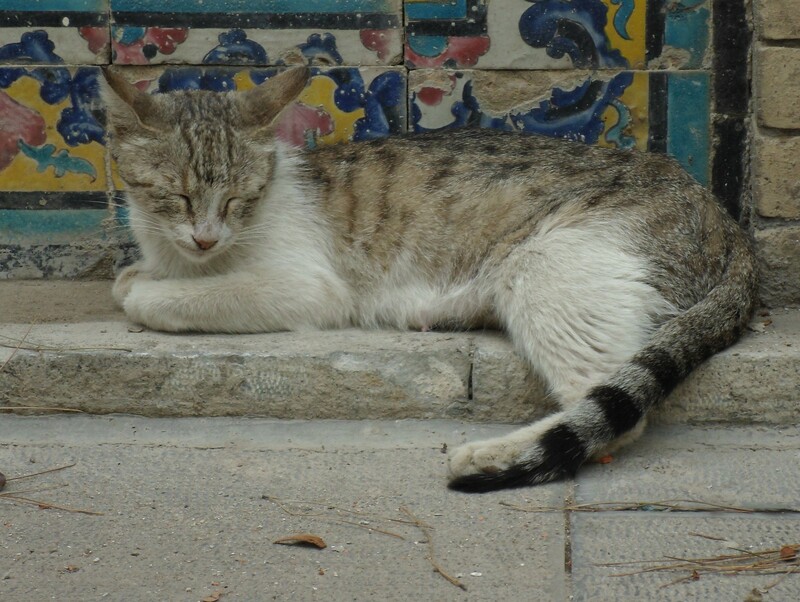 A cat sleeping in the shade at Golestan Palace, Tehran. 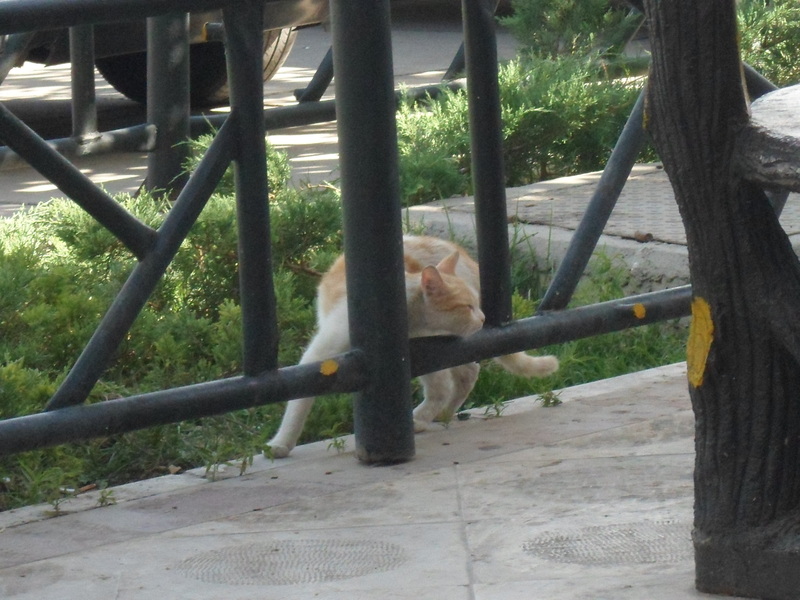 A cat at the tomb of the poet Hafiz in Shiraz. 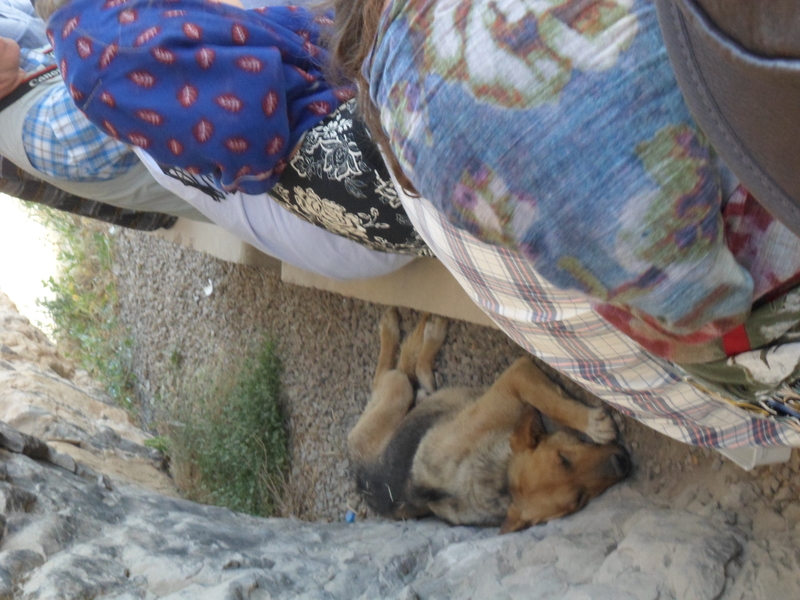 A dog sleeps in the shade of a collapsed cave with Sasanid reliefs. A lizard scuttles into the shadows of the Apadana at Persepolis. 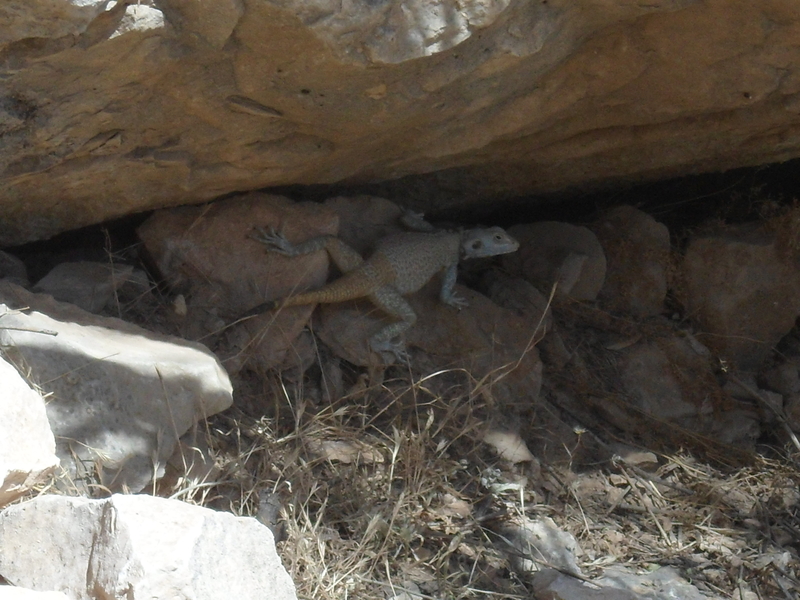 A lizard in a crevice of the rocks beneath Mundan Cave. 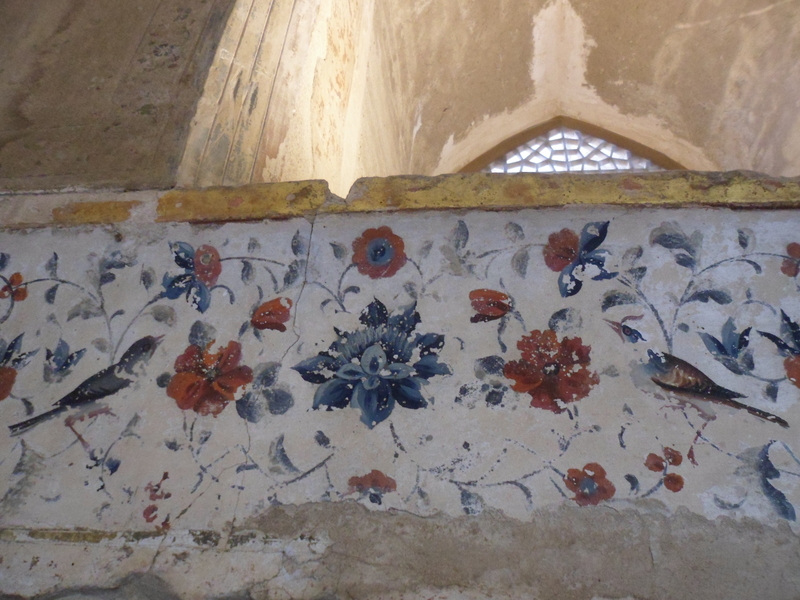 A still life of birds and flowers and vines from one of the Safavid palaces in Isfahan. Unfortunately I am not equipped to address most global problems. So I am glad to do my part to help with this one.